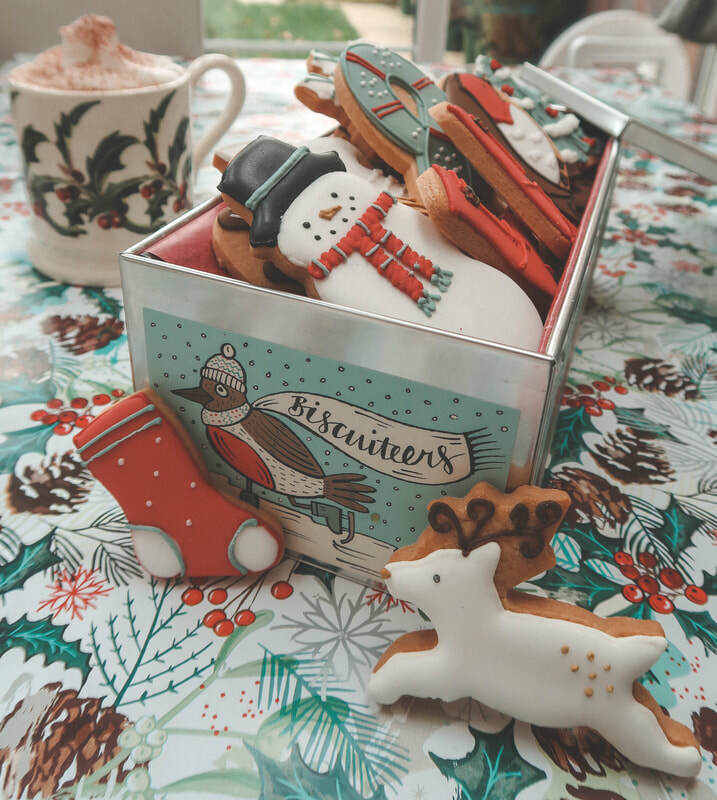 If you've been watching our YouTube videos during December, you'll know Chris is VERY MUCH enjoying his advent calendar... if you've not seen that then let us introduce you to the Biscuiteers Winter Wonderland Luxe Biscuit Tin! If you're looking for that festive treat for a loved one, or perhaps want to indulge yourself then look no further... just look at the tin, it is festive beauty in all it's glory! You can't help but say 'OH look at the tin!' on first glance, it's quite an illustrative creation. Ok on to the details, the biscuits themselves are all designed around either festive or wintery themes. From scarfs and hats, husky dogs and sleds to Christmas trees and of course a Snowman they've got it all covered. 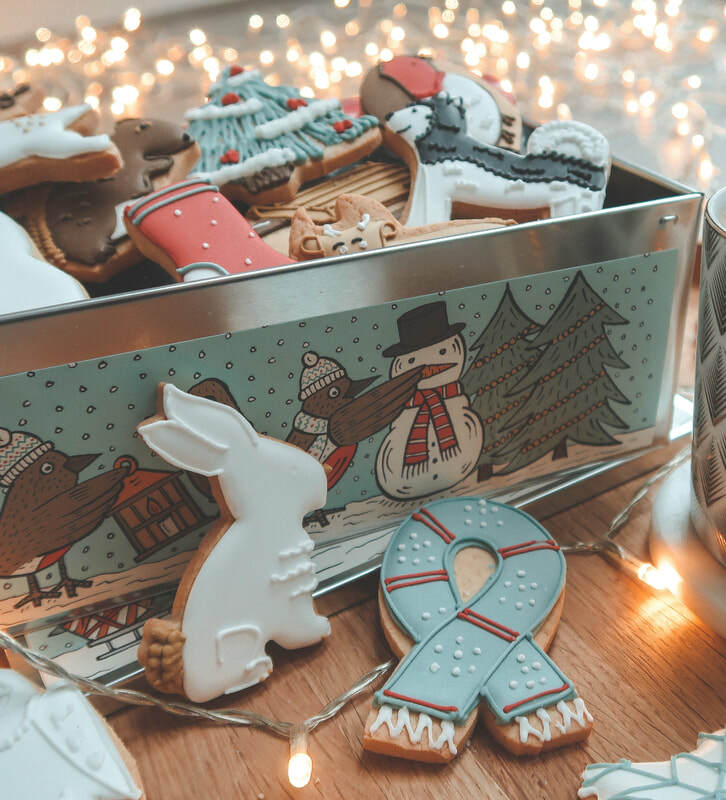 The tin costs £55 so it's certainly a top budget sweet treat gift and perhaps seems a little pricey, but as soon as it's open you realise the quality and how much time has been put into the perfectly detailed the hand-iced biscuits. 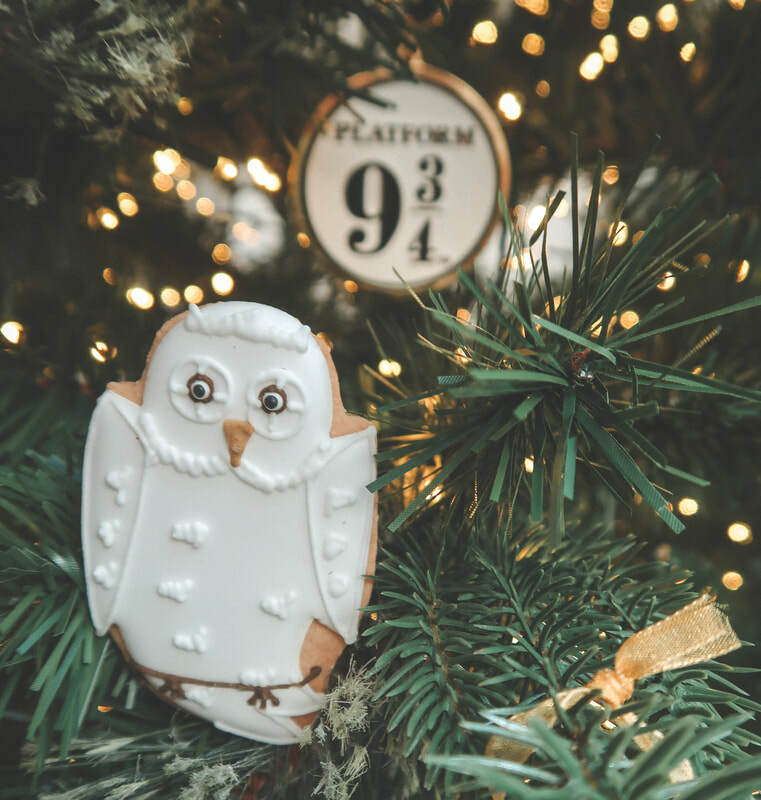 Of course when there's a snowy Owl biscuit we couldn't resist placing it in the Christmas tree next to our Platform 9 3/4 tree ornament! 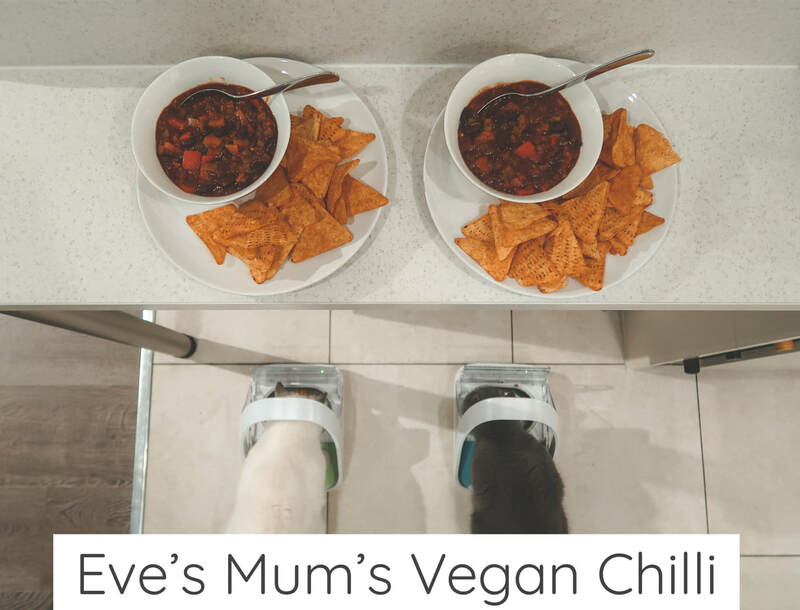 If you manage not to eat the entire tin in one sitting then you'll be pleased to know that they last a whole month if kept in the tin, which itself is certainly one to keep.. a handy storage box if nothing else! 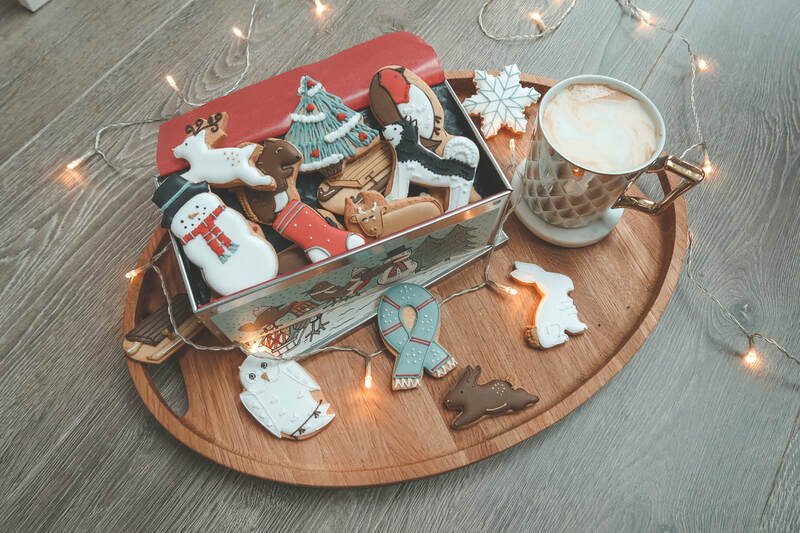 We want to be 100% honest with you and say that the tin was gifted to us, but we've always maintained the ideal that we would only ever give our honest opinion about something regardless of gifting or promotion and this tin of beautiful biscuits is really something special! Biscuiteers have a huge range of sweet treats and gifts that cover any holiday, event or occasion so definitely check them out if you or a loved one has a sweet tooth!